Our schedule has officially run Amber to empty. We actually had fewer appointments this week than the other weeks this past month, but she needed a break on our free days. Almost all of the school completed this week was a Review Crew item and she was moving slow through everything - mentally and physically. 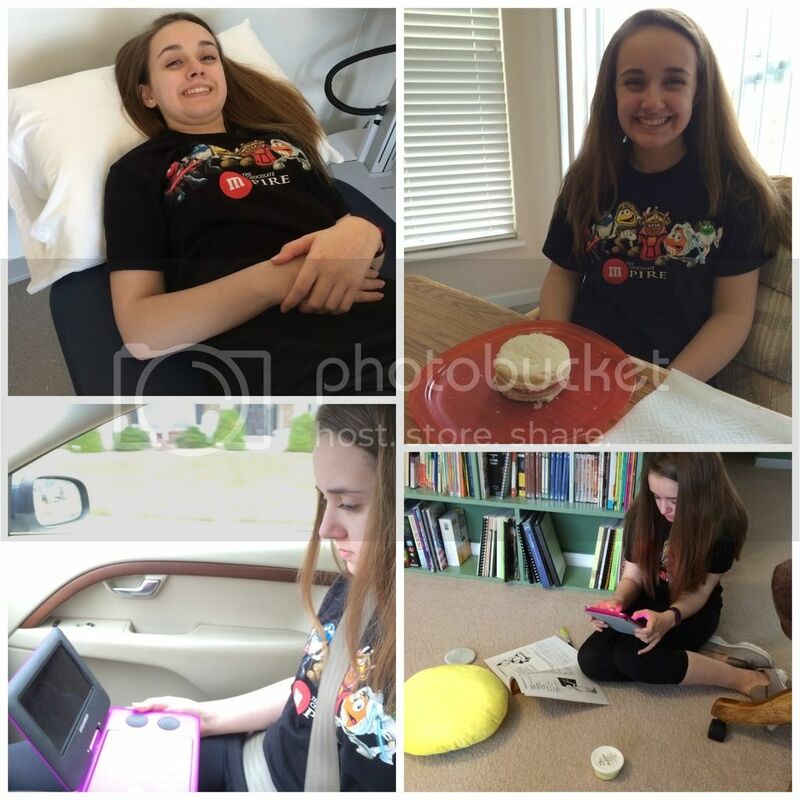 Although Amber had physical therapy on Monday, we celebrated Pi Day while at home with some fun math lessons based on Pi, read through a couple of the Sir Cumference books, tried to eat round food all day long, and generally were silly. Pi Day - at Physical Therapy, at home and watching a DVD in the car. We did take all of Tuesday off for our March Amber and Mom Day. Instead of resting at home and playing games, we went to the mall and shopped for more Spring / Summer clothes for Amber. I actually came away with more than her, I think. Yet we did find the all important dress for the Spring formal dance Amber is attending next month. Crisis averted. 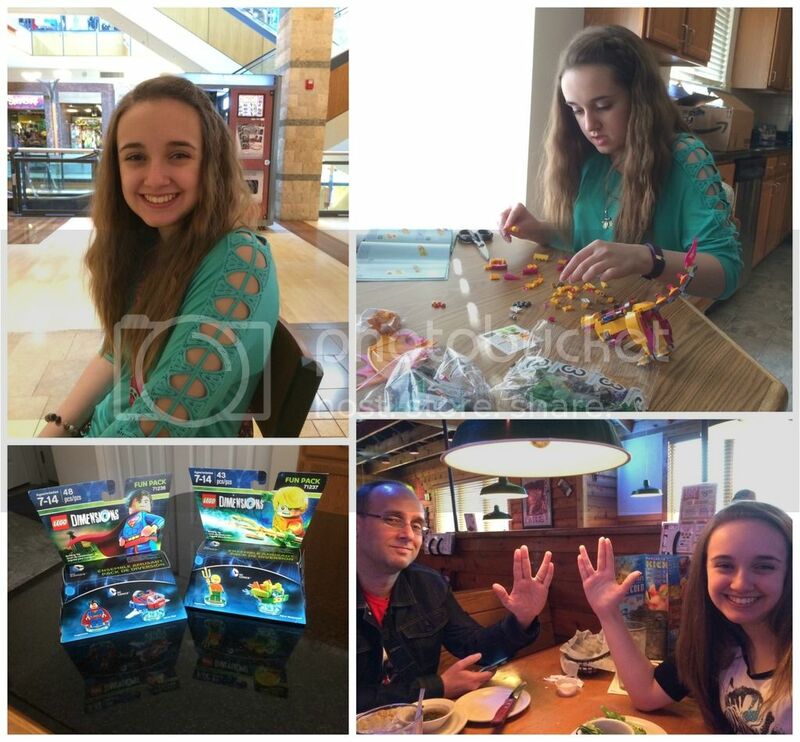 We also purchased rather a few more LEGO sets than intended while at the mall. The best stores are at the mall that just so happens to have our only local LEGO store. Amber wanted to look for series 15 minifigures to so she could use them in LEGO Minifigures Online. We also ended up with three of the new Elves Dragons sets when I only intended to get her one. Amber spent the rest of the day at home building her LEGO sets and playing LEGO Dimensions with me. Taking a break while shopping, building her new LEGO sets, Wave 4 LEGO Dimensions figures arrived, and... my two Vulcan freaks. Amber has become obsessed with certain Star Trek movies. She's still not sure about TNG. Homeschool co-op classes - short one hour this week because the dietician was in the middle of co-op. 3 blocks of religion, primarily watching The Gospel of John DVD, but also other lesson work. 2 blocks of writing, using Writers in Residence. 2 blocks of health: dietician visit and discussion at home. Dermatologist visit where she learned the signs of skin cancer, watching for it and preventing it. (She's fine, but has a small spot of concern). Amber and I did meet with her dietician during lunch time and one co-op class, although the results of the appointment were somewhat vague. We thought it was fantastic that Amber is responding a little to the Augmentin and is able to east a tiny bit more. The dietician wasn't exactly pleased with her perceived lack of progress and wished the GI doctor was currently in the country to approve switching to Reglan immediately. So much for our happy dance. We do have the names of a few vitamins and supplements which may help Amber take in more nutrients than she is getting at the moment, since her regular vitamins aren't compatible with her stomach. Additionally, the dietician gave us ideas for smoothies and other foods that might digest better. Our issue with smoothies is that once food makes it past the stomach the intestines need to do their job. Most standard smoothie fruits are not safe for Amber with fructose malabsorption. Still, we have more ideas and options than before the appointment. More DVD watching after her portrait session on Wednesday; Reading in the waiting room, and having a great St. Patrick's day. She and a friend dressed like twins at co-op, even though we had to skip out for an hour and a half. Amber officially is back into OT for sensory processing disorder with her first appointment on the calendar. We got the word on that one this morning and hope it will help with some of her building anxiety. 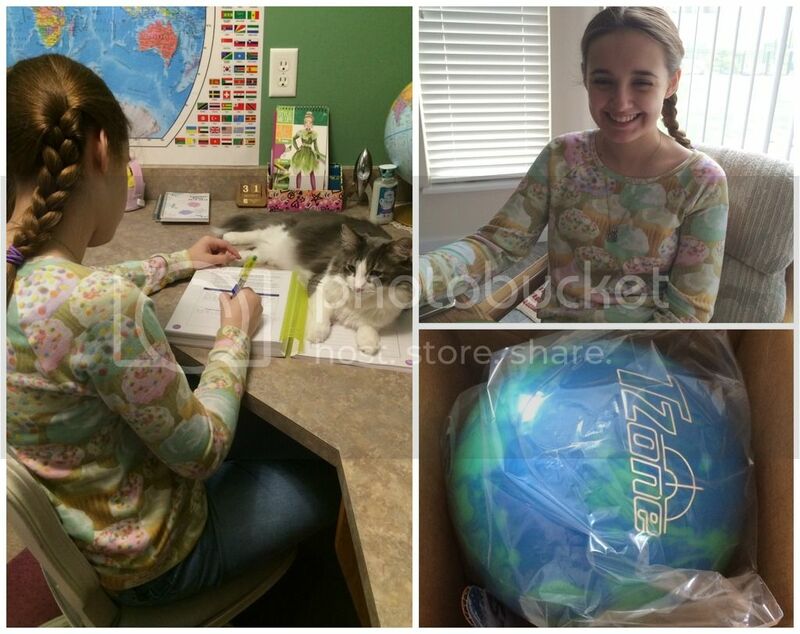 Amber's foot orthotics came back after the left foot was remolded and are finally correct. She's happily been wearing them all week without any discomfort. They make a dramatic difference in the way she walks and hopefully will help with pain as well. Next week Amber is participating in an egg drop at the homeschool group's Easter party, so Fred and Amber will be working this weekend on her egg-holding contraption. We almost didn't sign up to attend the Easter party since it adds to our busyness, then I realized we need some fun busy things and not all medical appointments. So, we are making time for a picnic with Easter egg hunt, egg drop, and other egg games. Actual school work (with a kitty), feeling happy, and our almost-five-year-old nephew's birthday present. He's obsessed with bowling. By this time next week, Amber will be a communicant member of the Lutheran Church - Missouri Synod. I can hardly believe the time has come! We will be celebrating her first communion during the Maundy Thursday service with family, friends, and our congregation. We are overjoyed at this coming event and still look forward to her confirmation in October. That's about it for this week. Have a great start to Holy Week! Congratulations to Amber on her up coming first communion. We are on vacation as of today for 10 days. I love all the lego sets. How many great Lego sets. It sounds like a pretty good week. Happy first communion. 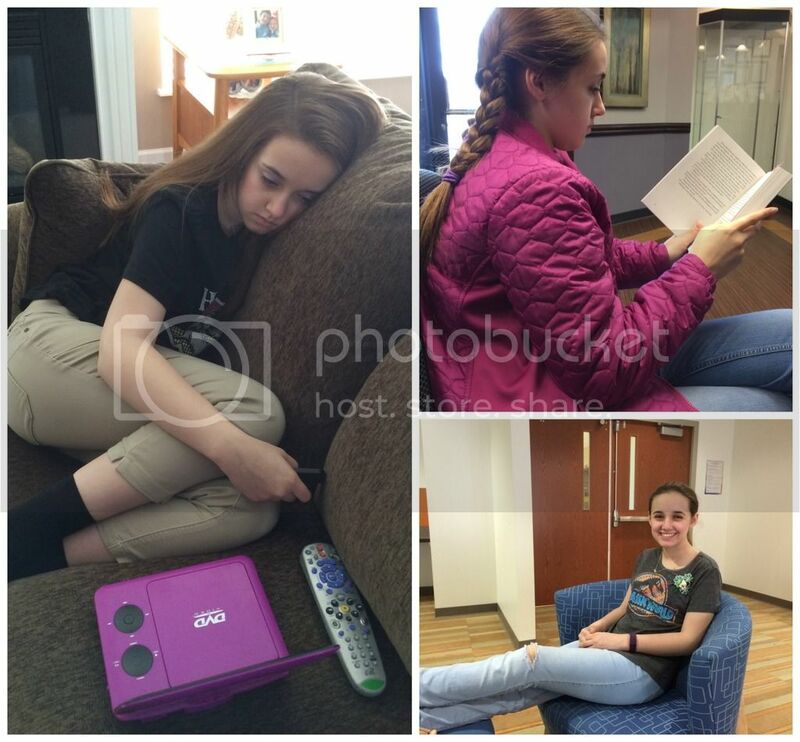 Sounds like Pi day and Mom and Amber Day were quite fun! I'm glad the orthotics are finally fitting correctly! Congratulations to Amber for her religious accomplishments!